It seems like the popular joke question at the beginning of every year is “Is this finally the year of VDI?” The answer, of course, is always no. Last week, Johan Van Amersfoort wrote a blog post about the virtues of VDI technology with the goal of making 2019 the “Year of VDI.” Johan made a number of really good points about how the technology has matured to be able to deliver to almost every use case. And today, Brian Madden published a response. In his response, Brian stated that while VDI is a mature technology that works well, it is just a small subset of the broader EUC space. I think both Brian and Johan make good points. VDI is a great set of technologies that have matured significantly since I started working with it back in 2011. But it is just a small subset of what the EUC space has grown to encompass. 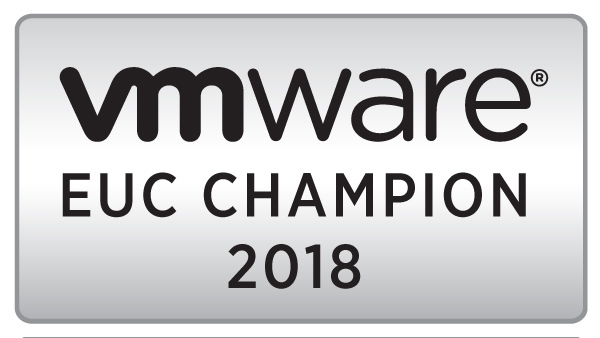 When I say that we should make 2019 the “Year of End-User Computing,” I’m not referring to some tipping point where EUC solutions become nearly ubiquitous. EUC projects, especially in large organizations, require a large time investment for discovery, planning, and testing, so you can’t just buy one and call it a day. I’m talking about elevating the conversation around end-user computing so that as we go into the next decade, businesses can truly embrace the power and flexibility that smartphones, tablets, and other mobile devices offer. Since the new year is only a few weeks away, and the 2019 project budgets are most likely allocated, conversations you have around any new end-user computing initiatives will likely be for 2020 and beyond. So how can you get started with these conversations? If you’re in IT management or managing end-user machines, you should start taking stock of your management technologies and remote access capabilities. Then talk to your users. Yes…talk to the users. Find out what works well, what doesn’t, and what capabilities they’d like to have. Talk to the data center teams and application owners to find out what is moving to the cloud or a SaaS offering. And make sure you have a line of communication open with your security team because they have a vested interest in protecting the company and its data. If you’re a consultant or service provider organization, you should be asking your customers about their end-user computing plans and talking to the end-user computing managers. It’s especially important to have these conversations when your customers talk about moving applications out to the cloud because moving the applications will impact the users, and as a trusted advisor, you want to make sure they get it right the first time. And if they already have a solution, make sure the capabilities of that solution match the direction they want to go. End-Users are the “last mile of IT.” They’re at the edges of the network, consuming the reosurces in the data center. At the same time, life has a tendency to pull people away from the office, and we now have the technology to bridge the work-life gap. As applications are moved from the on-premises data center to the cloud or SaaS platforms, a solid end-user computing strategy is critical to delivering business critical services while providing those users with a consistently good experience.